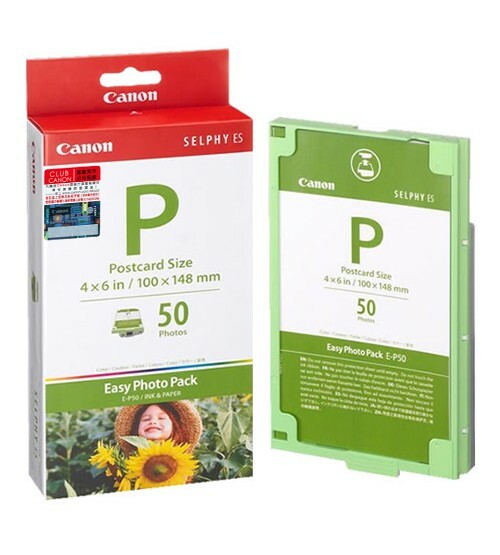 Exclusive to the SELPHY ES Series, Easy Photo Pack E-P50 Easy Photo Pack allows you to print up to 50, borderless Postcard size (3.94" x 5.83")images. Plus, the Easy Photo Pack means the ink and paper are in one cartridge. So, to replace your ink and paper all you do is put in a new cartridge. It's fast, easy and fun!